Backing up websites is an important part of managing your websites, and ManageWP makes that job easier. Having a good backup process in place helps you keep your website secured. To find the Backup tool, go to Websites tab. Hover over a website and click View Backups. Another way to navigate to the Backup tool is to go to single website dashboard by clicking the website’s name in Websites screen. 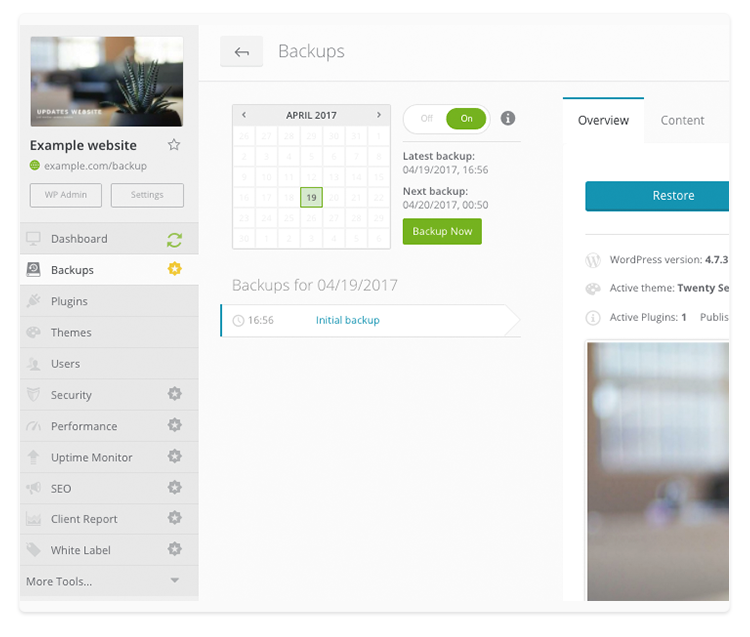 In a list of options on the left-hand side, click Backups. To activate the tool, click Activate Backups and select either premium or free Backup tool. After the activation, initial backup process will start automatically. 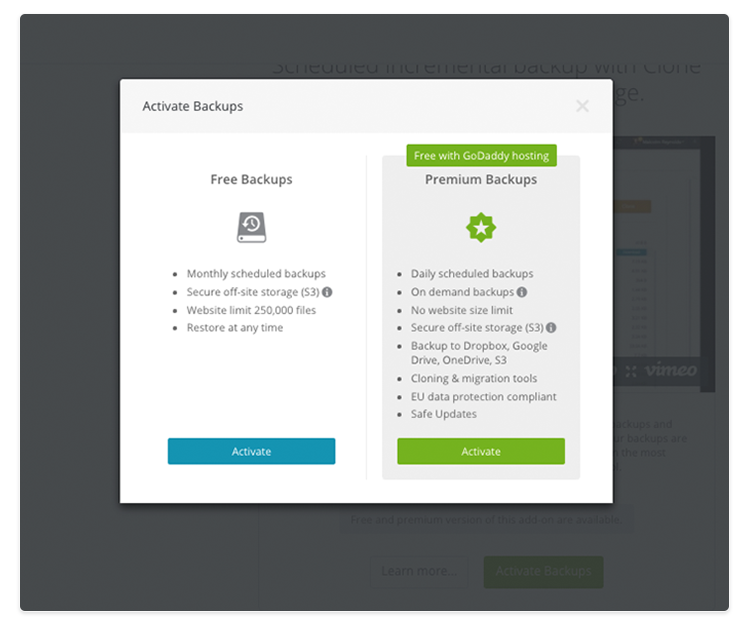 Free Backups are scheduled Monthly by default, while the premium version is set to Daily. You can change the frequency by clicking Settings on the right-hand side and clicking Backup schedule. 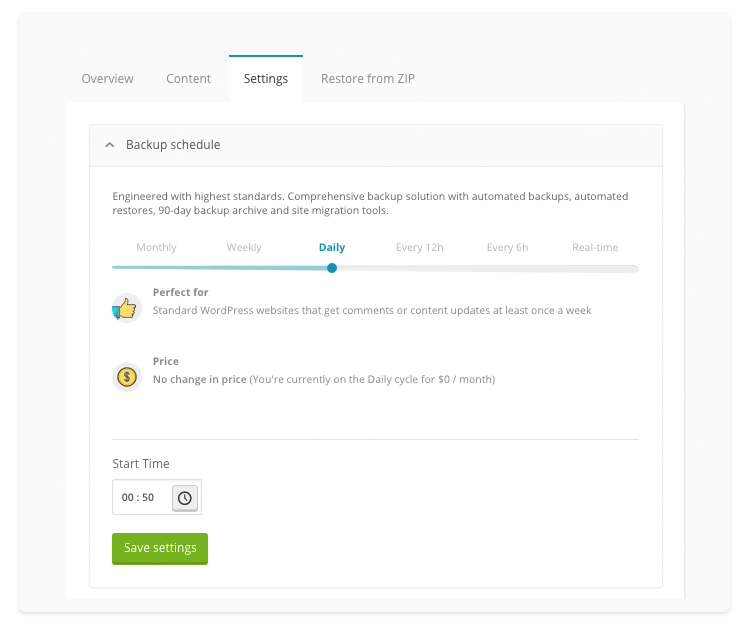 Weekly and Daily backups are included in premium Backup tool, and setting the frequency to Every 12h, Every 6h or Real-time will be billed additionally. When you set the preferred frequency and start time, click Save settings.